We value the feedback we get. We think you will, too. We make more than 1000 deliveries every week across the nation. A few days after delivery, our customers get an email survey about their experience, with 3 simple questions. Our favorite is: 'How likely is it that you would refer us to a friend?' You'll see below how much feedback we get every week. We love to hear the good, and pay special attention to problems. We don't smile until you do. We had our bed delivered at 9:00 pm at night. They delivery guys and our salesperson met at our house because my son is an EMT/firefighter. They all went above and beyond the job. THANK YOU ALL SO MUCH! Salesperson Nathan from Sterling Va. Delivery guys were from Maryland. Customer did not leave a comment. Herb has been a wonderful consultant. The quality of service is exceptional. Rhonda was absolutely wonderful! I was very grateful to have her assistance with my selections and colors. Thanks so much for the great service! Excellent customer service by Laura Welburn. David was great in helping us find what we needed. We definitely return to see him for any other needs. Ethan has been fantastic with helping us find exactly what we need for our new home. Highly recommended. Every time we visit Bassett (Wilmington, DE), we get treated like royalty. Last year, Jim Farrow sold us a couch. The couch is amazing, and Jim was amazing. Recently, Jay sold us a bedroom set. He was also amazing, and if the bedroom set is anything like him, we will be beyond pleased! Thank you for great customer service and great products!!! We are returning customers. Our salesperson, Diana, was fantastic!! She helped us decorate our new house & was always there to answer questions!! Bought dining room table as Bassett outet but there was not enough matching chairs so I have to purchase chairs elsewhere. Susan is the great. I love working with her. Richard made my experience excellent. He was very helpful and really listened to what i had in mind, and brought it all together to create my beautiful dining set. Matt was incredible - we shipped at several stores and did not meet any sales representative with his knowledge, honesty, and warm personality. Jina was Excellent, Above, and Beyond. Jina is a true Asset to your company, please share this with her. We made out purchase due to her Professional, and pleasant style of customer service!!! My salesperson Burt from the king of Prussia, pa location has been a pleasure to work with. 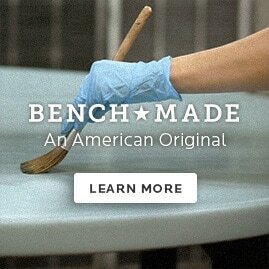 Maureen Chinchak has been working with me on a new family room and dinette table. She has gone above and beyond to help me. Her knowledge and vision are amazing. Maureen has also worked with my daughter on her home and was awesome !! Customer service ends when items are delivered and placed to customer satisfaction in his home or any other place he decide. Delivery people should be trained to provide the best experience to the client. It is not fair to ask a client to have the delivery place cleaned before the delivery is made. Why don,t you ask the client if he need some held to move their old items. Consideration to others made the difference. Diane was great at helping me narrow down the look I wanted. She had great suggestions to achieve the perfect designer look.